Rikako “Ricopin” Oya is the leader of style in Babyraids Japan, a five-member idol unit. 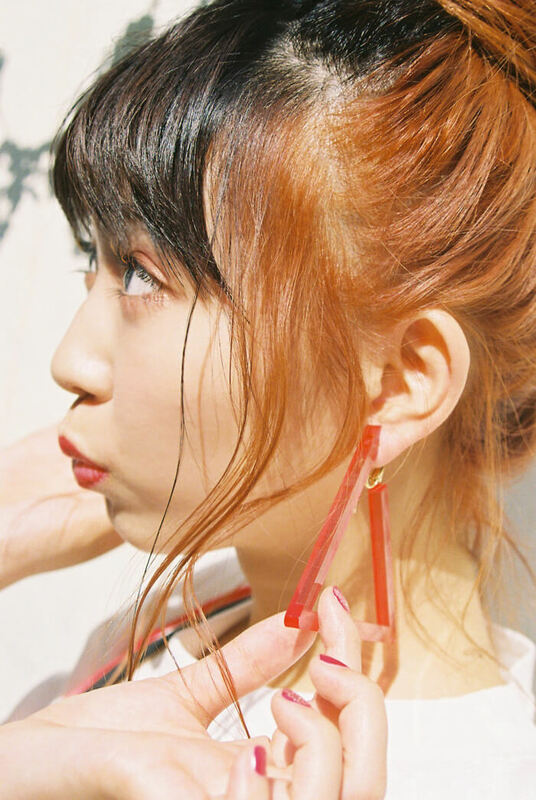 This is her featured article series in which she delivers the latest fashion from Japan. The theme for this 5th entry is ‘clear material,’ and she’s bringing it with three different styles that capture the current trend, as well as one of her own plain co-ords. 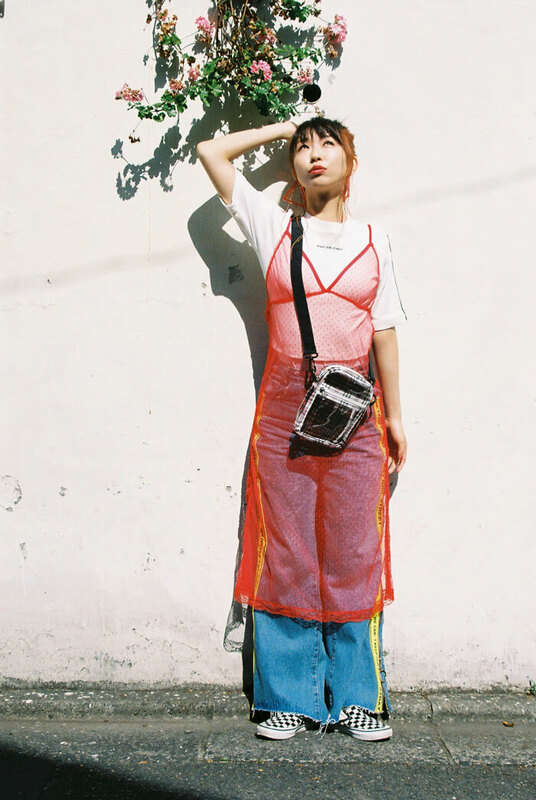 Check out the chemical reaction between these transparent and accessory-focused summertime threads and Ricopin’s style. The red and black on the clothes together with the clear bag and earrings help the accessories to stand out even more. There’s also transparent material used in the outfit which refines the simple t-shirt and denim jeans. The summer vibe in this outfit is brought out by the added clear belt and sunglasses to the smooth co-ord which consists of a t-shirt and skirt. The look is completed with accessories lining the face which give an air of playfulness. The top and clear bag have glitter in them, meaning this eye-catching co-ord can be shown off even at night. The lace up skirt and straw hat evoke girliness, and showing a moderate amount of skin gives a sense of effortlessness. Check out Ricopin’s plain clothes! In this section, Style Leader Ricopin shows us what she’s into right now for her plain clothes. She did all the styling herself too! Won the grand prix in the 2009 LOVE Berry auditions. Currently signed to LesPros Entertainment. Active as a member of idol group “Babyraids Japan.” Known as “Ricopin” by her fans, she is in charge of talking for the group. Her trademark is her twin-tail hairstyle. She has an interest in playing the guitar, DJing, Harajuku Fashion and film cameras. She appears on the radio show “Babyraids Japan Oya & Takami no Shaberi Suta!”.